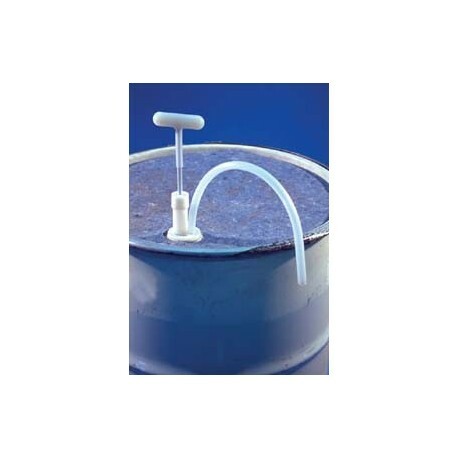 CON-TROL-CURE® POLYETHYLENE HAND PUMP empties 55 gallon drums to within 1/8" of bottom. Polyethylene construction provides high resistance to UV inks and coatings, inert and strong acids, alkalies and many solvents for contamination-free and long-term use. Positive pressure on downstroke provides smooth material transfer to 12 ft (3.6 m). 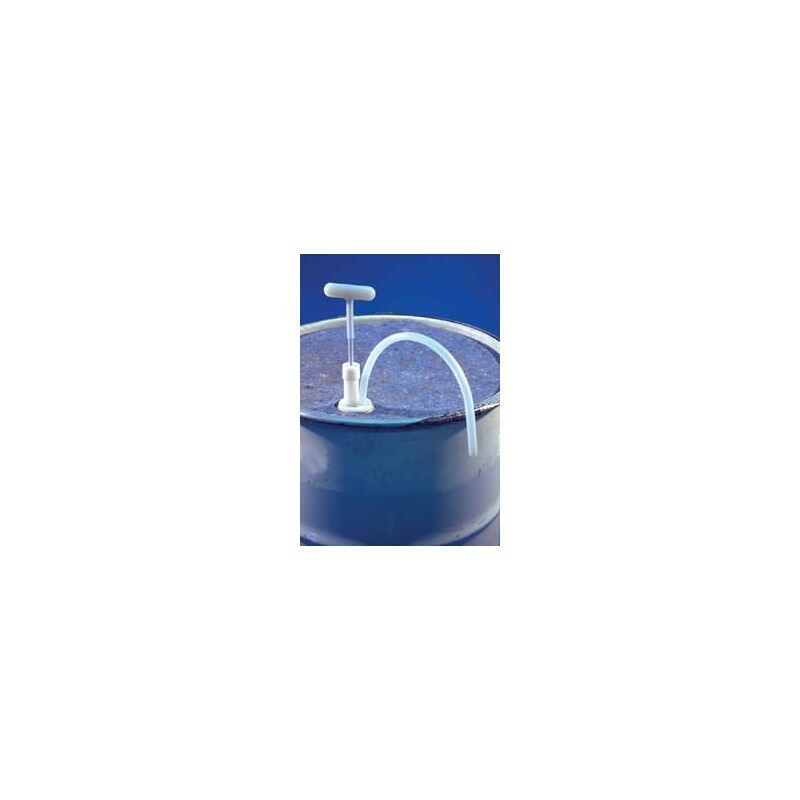 Mounted in 2" diameter (51 mm) standard V-threaded polyethylene plug. Measures 32"L.